My article focuses on how to access and expose such static resources to client. Now let’s proceed step-by-step to create awareness on how to use static files. Hope you enjoyed playing with static files. 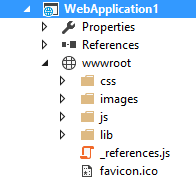 Benefit of using static files in such a way is that you need not to put extra effort to save your sensitive static file because if your file is not available at wwwroot, it won’t be rendered to client. Enjoy learning !!! 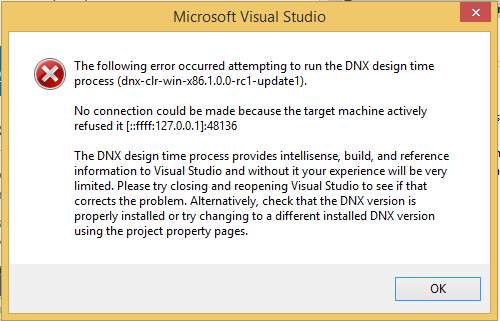 I tried various options including restarting machine, re-installing Visual Studio, etc. But Alas ! Nothing worked. But on surfing for few hours, I found a solution which worked for me. Once this command was executed, I didn’t get that error again. Hope reading this blog will save your few minutes of troubleshooting. Enjoy learning. 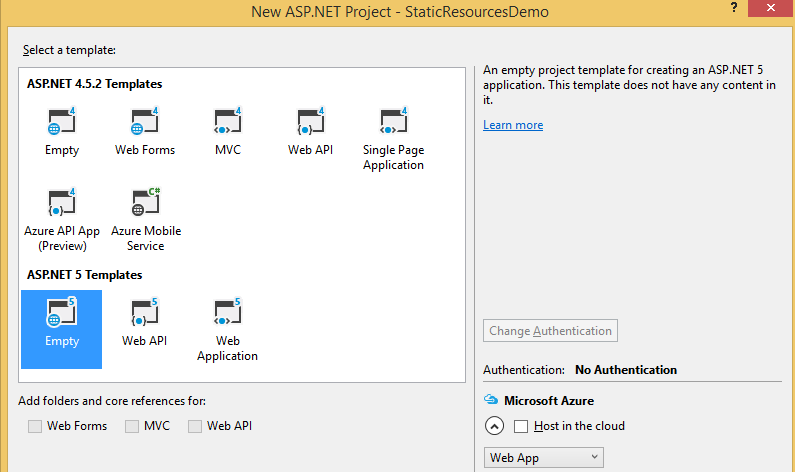 ASP.NET Core 1.0 is a new open-source framework for building modern Web applications. 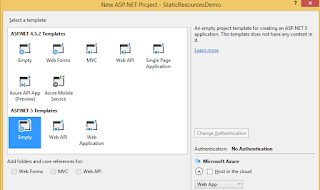 As compared to previous versions of ASP.NET there are many major changes happened. I’ll try to capture most of the changes in this blog post. 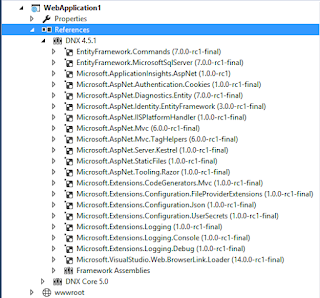 ASP.NET Core 1.0 was initially named as ASP.NET 5. 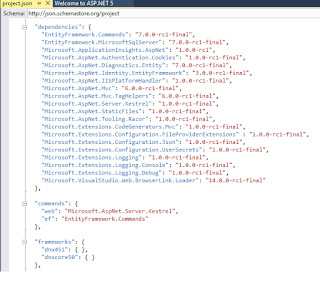 I’m dedicating this blog post to showcase the major features of ASP.NET Core 1.0. 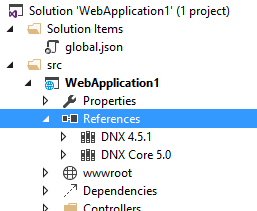 ASP.NET Core 1.0 is no longer based on System.Web.dll. As per dzone, typical HTTPContext object graph takes 30K in memory while new implementation takes around 2K.It means now you can take only those NuGet packages which are really required. It strictly follows pay-for-what-you-use model. 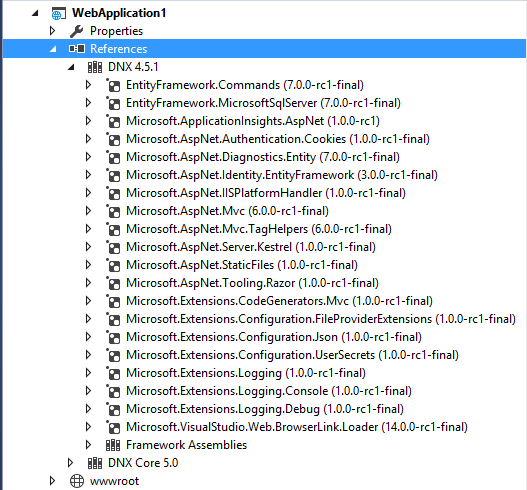 A very good thing is VS2015 provides the IntelliSense support for all the available NuGet packages and versions. 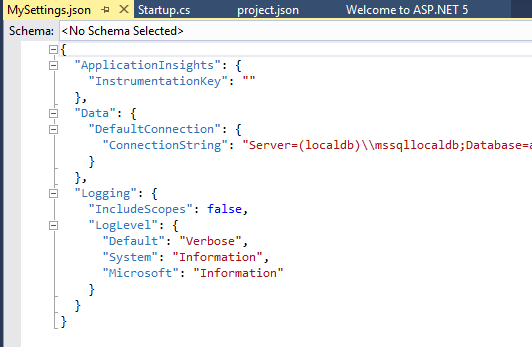 In cloud environment value of environment variables will automatically be used rather than local configuration values. Dependencies folder contains two subfolders corresponds to two package managers named Bower and npn. 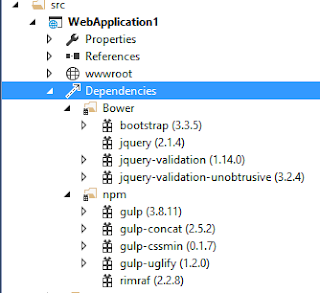 These folder tells which client side dependencies are managed by which tool. Cross platform support by .Net Core 1.0 opened up the new hosting options. Now user need not to rely only on IIS for web application hosting. This initiative was taken because IIS is not available on other platforms like Mac and Linux. 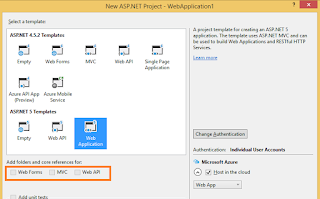 On such platforms, ASP.NET applications can be self-hosted or kestrel web server can be used. 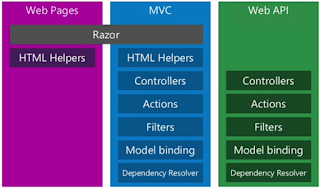 ASP.NET Core 1.0 includes a simple built-in inversion of control (IoC) container that supports constructor injection by default, but this can be replaced with any other container. 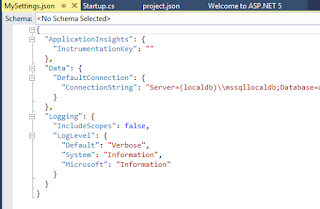 Services are made available through dependency injection and can be setup in ConfigureServices method of StartUp class. I’ll emphasis more on this in my next blog. 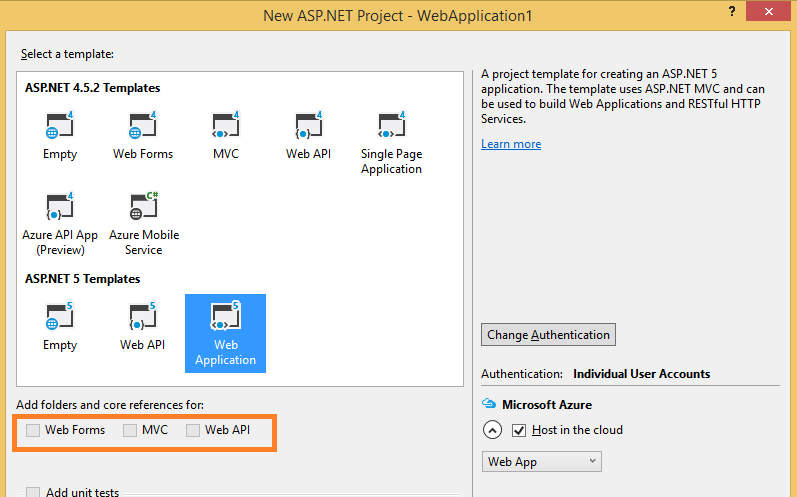 In order to support cross platform development, applications built using ASP.NET Core 1.0 can target full .Net and .Net Core framework. It means you can run your application either on Windows or on Mac or Linux. 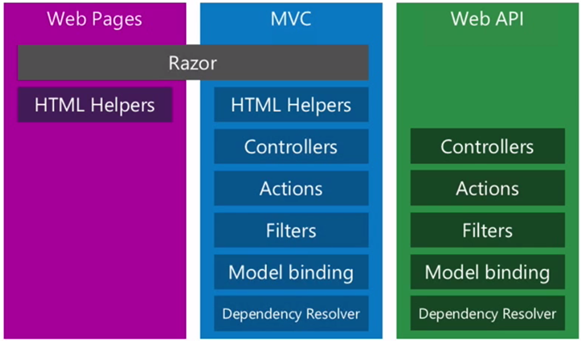 Basically this new ASP.NET(MVC + Web API + Web Pages = ASP.NET Core 1.0) is much more tuned for modern web development. NET Core 5 is now .NET Core 1.0. Few days back I downloaded Update 1 of Visual Studio 2015 using VS2015 Extensions. 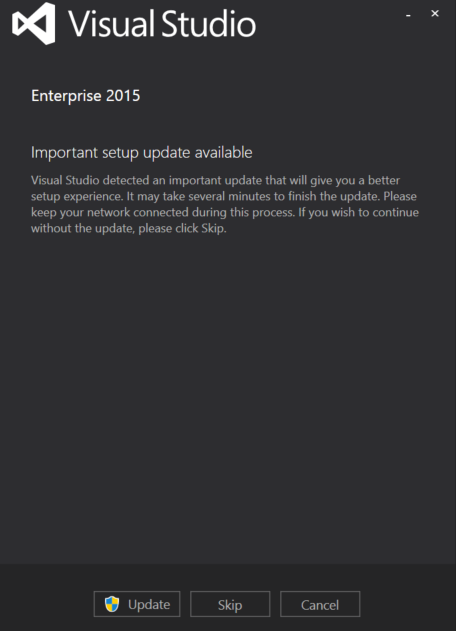 It ran quickly but in the end it reported that .Net Framework 4.6.1 RC had not been installed. On restart and installation, it was successfully installed. 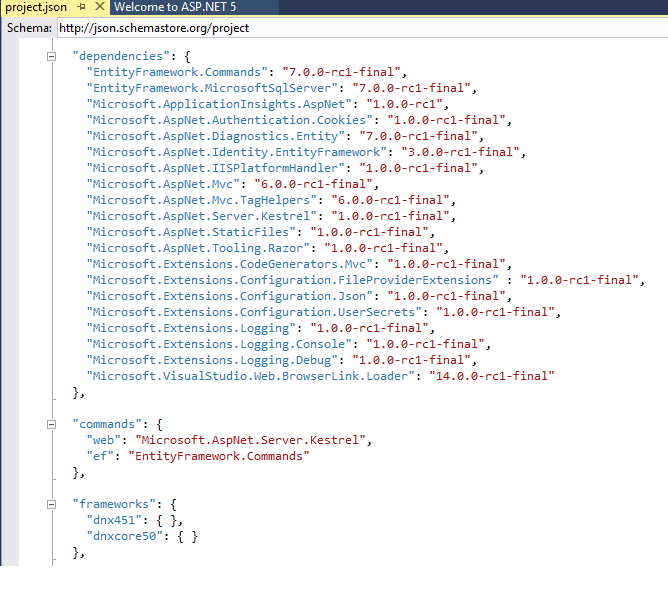 But when I tried to open and run my already created ASP.NET application, I landed up with another issue. 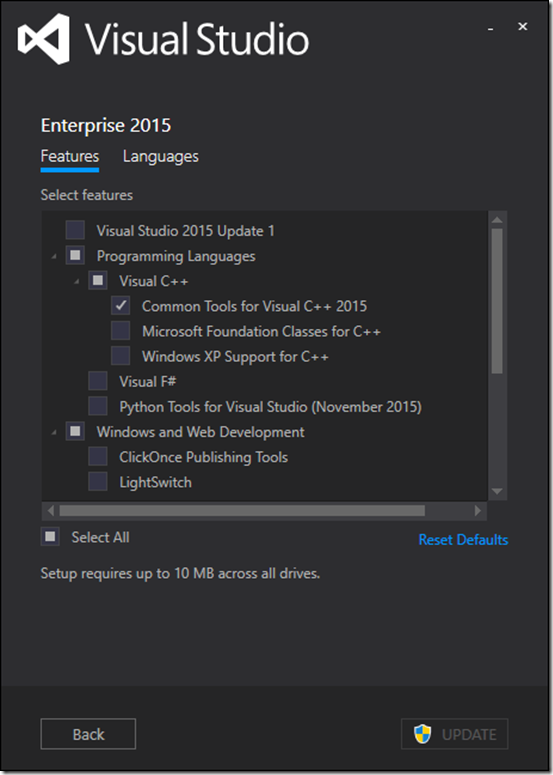 Visual Studio 2015 was not able to launch IIS Express. This was not an end. I noticed another strange thing. 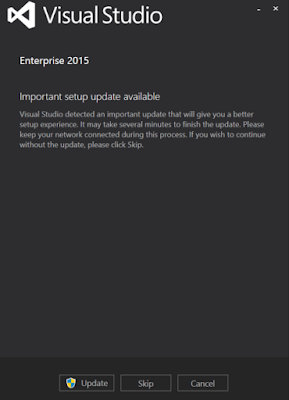 Although my installation was successful, Extension's dialog was still showing that Update 1 is available. Now I was left with only one option – uninstall and reinstall Visual Studio 2015. Once update is completed, all my things are in place. If you don’t want to suffer like me then my recommendation is to do update directly from Control Panel, rather than doing it using VS2015.1.exe. Hope you enjoyed troubleshooting.